As it happens was conceived by Paul Castle and Peter Falkner. PublIshed by Paul Castle of PDC Music. For many years Paul had encouraged Peter to record a solo piano album... Peter was always "never quite ready". However, in 2003 a collaboration was started whereby they would convert Peter's living room into a recording studio and Paul would record his compositions as they happened, with as little editing as possible - hence the title As it happens. Guest musicians for the occasional duet include Jacqueline Norrie, Michael Lukes and Paul Castle. CLICK HERE to preview or purchase individual tracks or the entire album on iTunes. CLICK HERE to preview or purchase individual tracks or the entire album on Amazon U.K.
CLICK HERE to preview or purchase individual tracks or the entire album on Amazon U.S.A. 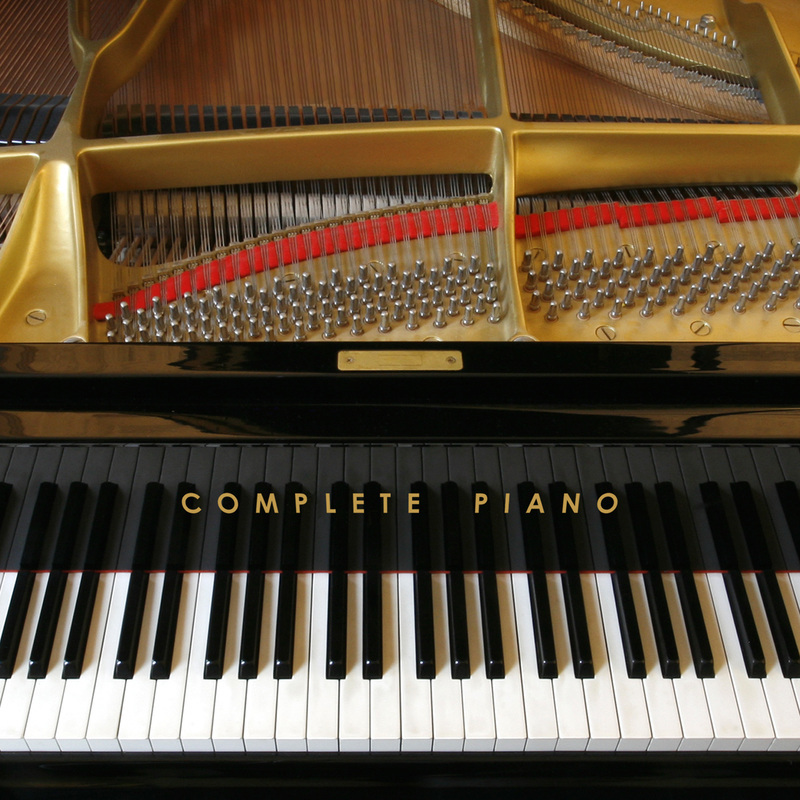 Complete Piano is a Library Music CD produced by Carmen Daye for Galapagos Music. It is published by KPM Music (KPM 663) and includes the compositions of eight composers including Peter Falkner.